We've vetted dozens of student loans providers to bring you the select few that we think are leaders in their categories. Check out our top picks by category, some of which are from our partners, to find the provider to suit your needs. 3.0 stars We want your money to work harder for you. Which is why our ratings are biased toward offers that deliver versatility while cutting out-of-pocket costs. When credit unions and community banks compete for your business, you’re bound to get an excellent APR. That’s why we love LendKey’s platform so much for both new student loans as well as refinancing. See our full refinancing review here. SoFi offers some pretty unique loan terms, such as five different term lengths, in-school deferment options, and forbearance if you lose your job. Plus, the application process and online platform is extremely user-friendly. See our full refinancing review here. 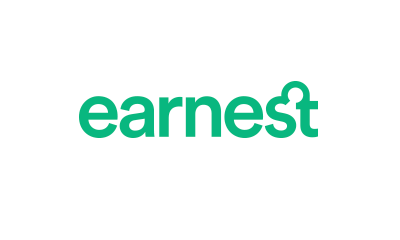 Earnest offers a staggering amount of repayment flexibility, with 180 different possible repayment term lengths. With fixed APRs starting under 4%, it’s no reason this lender is one of our top choices for refinancing. View our full review here. Laurel Road claims their average refinancing borrower saves $20,000 in interest over the life of their loan. With flexible repayment options and some of the lowest APRs in the industry, it’s one of our top choices for student loan borrowers looking to refinance. Read our full review here. Credible’s platform allows lenders to compete for you. You can get as many as eight different lenders’ refinancing offers to compare side-by-side with just a single credit pull, and Credible is so confident that it will pay you $200 if you find a better offer elsewhere. Learn more in our full review. CommonBond offers borrowers the option to postpone their payments for as long as 24 months if they fall on hard times, plus they offer one of the easiest cosigner-release programs in the private student loan industry. Read our full review of CommonBond student loans now. 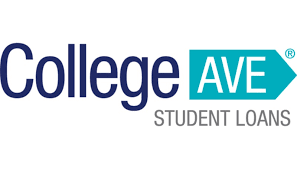 With low APRs, flexible repayment, and no half-time enrollment requirement, College Ave is our top pick for graduate students looking for private student loans. Read our full review here. Loan amounts: 100% of their school’s cost of attendance. Sallie Mae offers a wide variety of specialized student loan products, and has tons of flexibility when it comes to repayment options. Plus, borrowers get some unique and valuable perks like free access to their FICO® credit scores. See our full review here. Do they offer new student loans or just refinancing? Do they loan to undergraduate and graduate students? How flexible are the loan terms offered? Can borrowers check their interest rates without affecting their credit score? Do student borrowers need a cosigner? I’m a Certified Financial Planner® who has published more than 4,500 articles on various personal finance and investment topics, and my work has been syndicated on news outlets such as MSN Money, USA Today, CNN Money, and more. In addition, I’m a student loan borrower who has extensive firsthand experience with the student loan borrowing, repayment, and refinancing processes. A private student loan is similar in principle to obtaining a personal loan from a financial institution. Qualification is generally determined by the borrower’s (or cosigner’s) credit history, existing debts, income, employment situation, and other factors. The key differentiator from personal loans is that private student loans are only designed to fund educational expenses, or to refinance existing loans that were obtained for that purpose. In most cases, student loan proceeds are disbursed directly to your college or university, or to an existing lender in the case of refinancing -- you typically don’t receive the money directly. Because a college education is statistically correlated with a higher income (and therefore a better ability to repay), student loans generally come with lower interest rates than comparable personal loans. Aside from that, the process is quite similar to applying for a personal loan. Compare the interest rates, fees, loan terms, and other factors from several lenders, decide which option is best for you, and then apply. There are a few things to consider when shopping around for a private student lender. Interest rate, or APR, is an obvious consideration. Beyond that, one important factor is flexibility. Does the lender offer a few set loan terms, or can you choose from many different repayment lengths? Can you choose to defer your payments for a set amount of time if you run into financial hardship? Do you need to start paying interest while in school, or can you choose from a few different arrangements? It’s also important to take any fees a lender charges into consideration. Many private student lenders don’t charge origination fees, for example, but some do. Finally, it’s important to make sure a lender meets your needs. Do they lend to undergraduates and graduate students, or just one? Do they require a cosigner? There are two general categories of student loans: federal and private. Federal student loans (also known as Direct Loans, FFEL, and Perkins Loans) are applied for, originated through, and guaranteed by the federal government. On the other hand, private student loans are made by private lenders, such as the companies that appear towards the top of this page. Because federal student loans are guaranteed by the government, they have much easier qualification standards than private student loans. For example, an 18-year-old college freshman with no credit history could qualify for a Direct Loan under his or her own name, but would likely need a cosigner to be considered for a private student loan. Federal loans also have one interest rate for borrowers of all credit histories. For example, a graduate student who obtains a Federal Direct Student Loan would get the same interest rate whether they have poor credit or a near-perfect credit score. Private student loans base their interest rates on the borrowers’ qualifications. Borrowers with strong credit can often get lower interest rates through private student loans, while borrowers with so-so credit can generally do better with a federal loan. Federal loans have a big advantage is when it comes to loan forgiveness programs. In order to qualify for Public Service Loan Forgiveness (PSLF) or teacher loan forgiveness, a borrower must have federal student loans. Federal loans also tend to have more flexible repayment options. To be fair, some private lenders are actually quite flexible when it comes to repayment these days. However, if you want to use an income-based repayment plan, such as Pay As You Earn (PAYE) or Income-Based Repayment (IBR), these are only available to federal loan borrowers. It’s generally easier to defer repayment on a federal loan if you run into financial hardship after graduating or leaving school. Furthermore, federal student loans can be subsidized in many cases. A subsidized federal student loan means that the federal government pays the interest on your loan while it’s on a deferment, such as while you’re in school. This can translate to big cost savings. Graduate/Professional -- $138,500 ($65,500 subsidized), including undergraduate loans. Most private lenders will allow borrowers to obtain student loans all the way up to the school’s published cost of attendance. It’s also worth pointing out that if a federal student loan doesn’t meet your full funding need, it’s not uncommon for students to use both types. In other words, you could obtain a federal loan to take advantage of the forgiveness programs, in-school interest subsidies, and other benefits, and then use a private student loan for any additional funding needs. There are two main things you need to do in order to get the best interest rate from a private student lender: Build up an excellent credit history and check your rates with several different lenders. I won’t get into a huge discussion of what an excellent credit score is (you can read a great discussion here), but here’s the quick version. Your FICO® Score is the scoring model lenders check most often, and yours is a number between 300 and 850, with higher scores being better. Generally speaking, a score in the upper 700s or better will qualify you for a lender’s best rates, although it’s important to realize that most lenders also consider other factors such as your income, other debts, and employment history when determining your loan’s interest rate. Payment history (35% of your score) -- Do you pay your bills on time every month? Amounts owed (30%) -- Do you have a high level of debt relative to your available credit? Length of credit history (15%) -- How long have you been using your credit, and how long have your credit accounts been open? New credit (10%) -- Have you been applying for new loans and credit cards recently, and have you opened any new accounts as a result of these applications? Credit mix (10%) -- Does your credit report contain just one type of credit account, such as credit cards, or do you have a mix of mortgage, auto loans, student loans, credit cards, etc.? If you don’t personally have excellent credit, you can likely get a better interest rate and improve your chances of approval by having a creditworthy cosigner agree to fill out a loan application with you. Some private student lenders require borrowers who are in school to have a cosigner, regardless of their personal credit history. Another must-do in order to get the best private student loan interest rate is to apply with a few different lenders. Many lenders allow you to check your interest rate without affecting your credit score (especially with refinancing), and even if a lender does a hard credit pull, it’s unlikely to impact your score by more than a few points. This can be well worth it if doing so results in hundreds or even thousands in savings over the life of the loan. There are some excellent reasons to refinance your student loans. Combining several student loans into one makes your repayment simpler. For example, if you have obtained a separate student loan for each of eight semesters of college, the payments can be overwhelming to keep track of, especially if some were obtained through different lenders. Refinancing can also allow you to potentially lower your interest rate and/or your monthly payment. While this isn’t true in all cases, there are private lenders with extremely low APRs available for borrowers with excellent credit. Finally, another good reason to refinance is if you have a cosigner on your existing student loans and want to get their name off. Many private lenders have a way to remove a cosigner, but refinancing could be another way to accomplish this. Is a private student loan right for you? There’s no one-size-fits-all answer to this question, but the general idea is that a private student loan is a good choice if federal loans don’t meet your educational funding needs all by themselves. Subsidized student loans, when available, are the best choice in virtually all cases, but even unsubsidized federal student loans have several big advantages over private loans. The biggest advantage of private student loans is that they are only capped (in most cases) by your school’s total cost of attendance. For instance, if you are a freshman in college and are considered to be a dependent, you can only take out $5,500 in federal student loans. If your school’s total published cost of attendance is $20,000 per year, you may be able to obtain a private student loan to make up the difference.